Being centrally located in the downtown district makes getting to the market easy. The Janesville Transit Transfer Center is four blocks away on River Street. 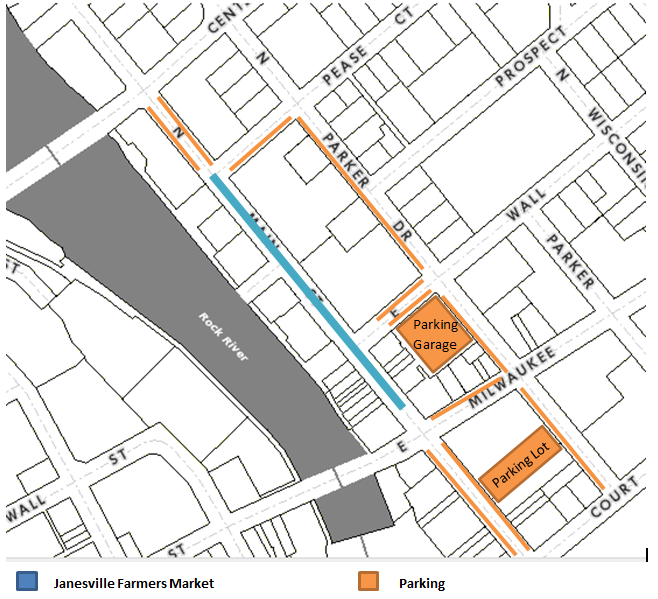 For those driving to the market, Downtown Janesville offers a variety of safe and convenient free parking, including public parking lots. To get to the market from Highway 26/Milton Avenue, take Milton Avenue South to Milwaukee. Turn left on Parker Dr and park in the parking garage on the left. To reach the market from the South, take Center Avenue North toward downtown. Turn left on Parker Dr and park in the parking garage on the right. Street parking is also available.